I quickly mastered the Twitterati’s unnatural self-consciousness: processing my experience instantaneously, packaging life as I lived it. I learned to be “on” all the time, whether standing behind that woman at the supermarket who sneaked three extra items into the express check-out lane (you know who you are) or despairing over human rights abuses against women in Guatemala. In the process of crafting tweets, Orenstein shaped her subjectivity (Orenstein is aware of this, as evidenced in in the title of her article, ‘I Tweet, Therefore I Am’). Twitter (like Facebook, LinkedIn, or any other service based in open commons ideal) is a vehicle of subjectivation. When we seize on a moment and ‘package’ it in the form of a 140 digit tweet, we do more than just create an item of content to share with our friends. We hone our view on the world, and in the process, define ourselves as persons, identities, and subjects. To craft a tweet or frame a post with a wry observation, we must step back from our experience and transform it into a story, with ourself as the lead character. We tease out whatever is funny, insightful, indicative, and unique in the flow of life and experience and capture it in a prism of words. We give focus and definition to our life through tweeting, just as a poet gives definition to his or her life through writing poems. Subjectivation is not oppressive. Arguably, the ‘unnatural self-consciousness’ that Orenstein associates with the Twitter experience is the native state of philosophers and other serious thinkers. Being ‘on’ all the time, keenly aware of the value of things and situations unfolding around you – this is not dissimilar to the presence of mind that we cultivate through mediation. We constantly engage in processes of subjectivation in our professional lives, especially when we are cultivating a professional identity. Twitter and other social media services can be useful tools for exploring and experimenting with identities, as Orenstein discovered. It was only when Orenstein realized that the ‘Twitter effect’ ran deeper than her professional identity, subtly affecting how she understood and crafted herself as a person, that she started to become suspicious of tweeting. Let’s take a look at this. What soured Orenstein’s Twitter experience? And what was her response? Using Twitter turned Orenstein’s brain on. It challenged her to find the poetry in everyday moments, which had the effect of making her more attentive to the world about her. At the same time, tweeting made Orenstein more aware of herself. Soon a certain anxiety was creeping into her Twitter experience. Orenstein describes it this way: ‘Each Twitter post seemed a tacit referendum on who I am, or at least who I believe myself to be’. It was as if she had to justify or prove herself through her tweets. It wasn’t so much her talent or ability that she felt forced to justify, but her subjectivity: ‘who I am, or at least who I believe myself to be’. What had led her to feel this way? The anxiety didn’t come from crafting tweets – this part of the process was empowering and rewarding. It emerged, instead, from Orenstein’s sense that by tweeting aspects of her life, she was exposing herself to an anonymous crowd, and the crowd was judging her on the basis of what she tweeted. 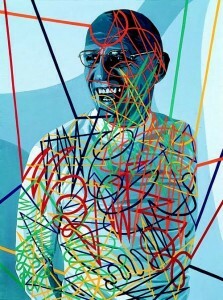 Orenstein’s anxiety was an effect of the virtual Panopticon established by Twitter itself. Virtual Panopticons emerge where people act and share things in public. They take an acute form online, since the details that we share online concern our passions, values, and dreams (if only obliquely), and it is important for us to feel that we are being positively judged for these things. To appreciate how Twitter functions as a vehicle of subjectivation, we need to reflect on how Orenstien responded to her sense of anxiety. Her response is exemplary. Orenstein’s awareness of the crowd spurred her to work even harder to craft a positive identity. 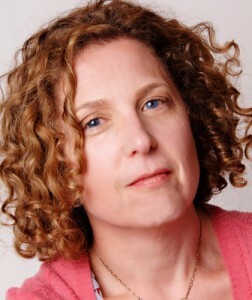 Pumping her reserves of creativity, she sought to give her tweeps the Peggy Orenstein they wanted to receive: funny, incisive, a little acerbic, always sharp and contemporary. In short, Orenstein played to the crowd. This is what social media does to us. The sense of an implicit tribunal, a ‘tacit referendum on who I am, or at least who I believe myself to be’ – this spurs us to take charge of our own subjectivation. Orenstein was by not prepared to lie to her followers. But she did everything that she could to amplify her virtues and present herself ‘just so’ in order to make her life seem more news worthy. It is incredible that a simple tool like Twitter could inspire someone to poetical heights, but this is the effect that the ‘tacit referendum’ had on her. Orenstein challenged herself to draw uncommon inspiration from quotidian moments. How many different ways could she tell the story of listening to E.B. White in the sun? What spin would she put on it to best display her passion and intellect? Orenstein aspired to perform her identity tweet by tweet. Subjectivation and identity-formation on Twitter is a performance: creatively determined by the user, yet commanded by the presence of an expectant crowd. We must guard against the danger that our tweets, posts, and shares become mere performances, a play or masks that is disconnected from our authentic self. Orenstein cites a perceptive passage from Sherry Turkle’s book, Alone Together, which describes the ultimate threat presented by social mediatized subjectivation: when subjectivity becomes mere performance. On Twitter or Facebook you’re trying to express something real about who you are. 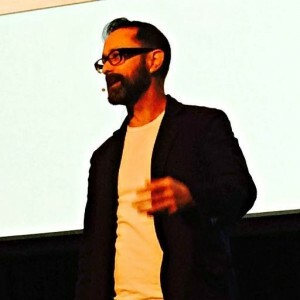 … But because you’re also creating something for others’ consumption, you find yourself imagining and playing to your audience more and more. So those moments in which you’re supposed to be showing your true self become a performance. Your psychology becomes a performance. Creating oneself online has its dangers, it is true. But the challenge we face in creating ourselves in a variety of forums can also help us define our virtues and aspire to personal excellence. The virtual Panopticon idea explains why it is that people tend to be larger than life on social media. 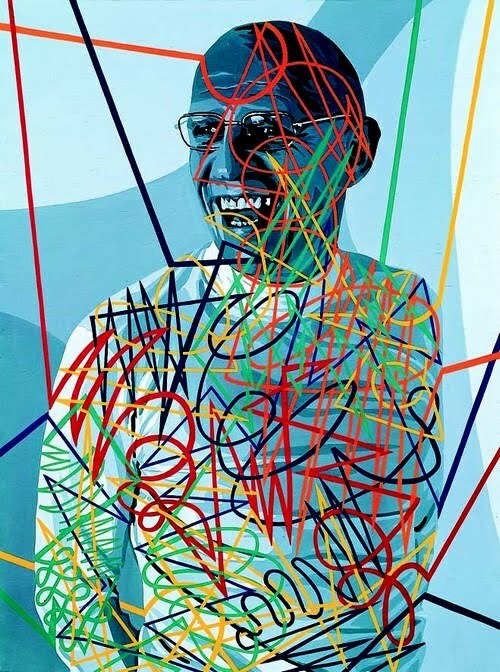 People, like Orenstein, who are able to channel and utilize the anxiety produced by the virtual Panopticon seize on the positive aspects of their identity and amplifying them to the nth degree. I call this ‘creative self-affirmation’. The humorist becomes a prankster. The e-activist becomes a social revolutionary. The middle manager becomes a business guru. The pessimist becomes a professional iconoclast. These kinds of experiments with the self wouldn’t happen without the psychological demands of the virtual Panopticon. The expectant crowd draw us out of ourself. By commanding performances from us, the crowd draws out our singularities, those unique features of our person that represent our leading potentials. was not really about my own impressions: it was about how I imagined — and wanted — others to react to them. That gave me pause. How much, I began to wonder, was I shaping my Twitter feed, and how much was Twitter shaping me? 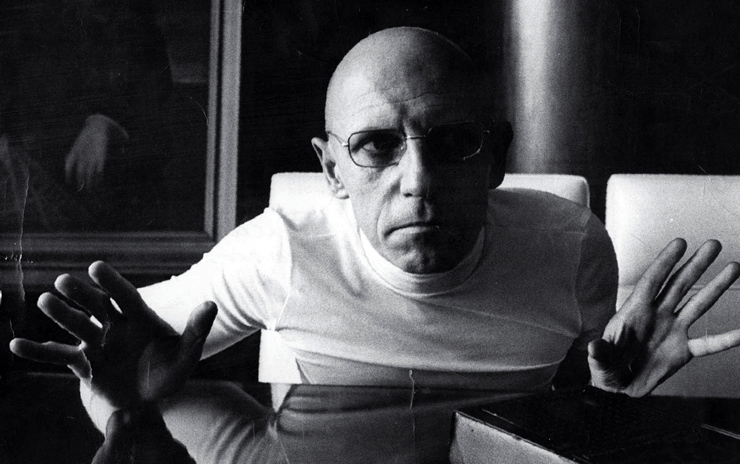 Foucault’s philosophy can help us overcome the squeamishness we feel about self-creation online. There is an old idea that articulating oneself creatively through one’s social engagements is inauthentic. One is what one is – that’s all there is to it. Foucault, in his later works, argued against this idea. In Foucault’s view, people who assume that the self is given and fixed are making a metaphysical mistake. The self is not given: it is made and remade in a variety of ways in a variety of contexts. It is crafted in a different way for each generation. If we are interested in freedom, be it personal or collective, we had best play an active part in creating our selves, because the institutions of postmodern society shape us as we pass through them, and the more that we allow ourselves to be shaped by these institutions, the less we are able to creatively define ourselves as human beings. Social media can be a positive tool for creating and affirming the self. We can and do use social media as a tool in the ‘art of life’, the practice of constructing the self.